Xbox Kinect Bundle: $299 + FREE $80 Target Gift Card + FREE Shipping! If you're still looking for an Xbox Kinect, you can get a great bundle deal at Target right now! 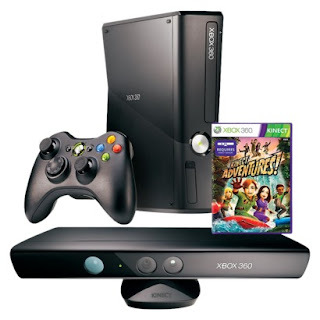 This bundle includes a 4GB Xbox console, Kinect sensor, wireless controller, Kinect Adventures game and more. It's priced at $299, which is the going price at almost all other stores, but with this purchase, you'll get a FREE $80 Target gift card! You'll also score free shipping with the deal. I don't think a better deal than this will pop up before Christmas and I have a feeling they will sell out quickly, so if you want it, I'd get is asap!